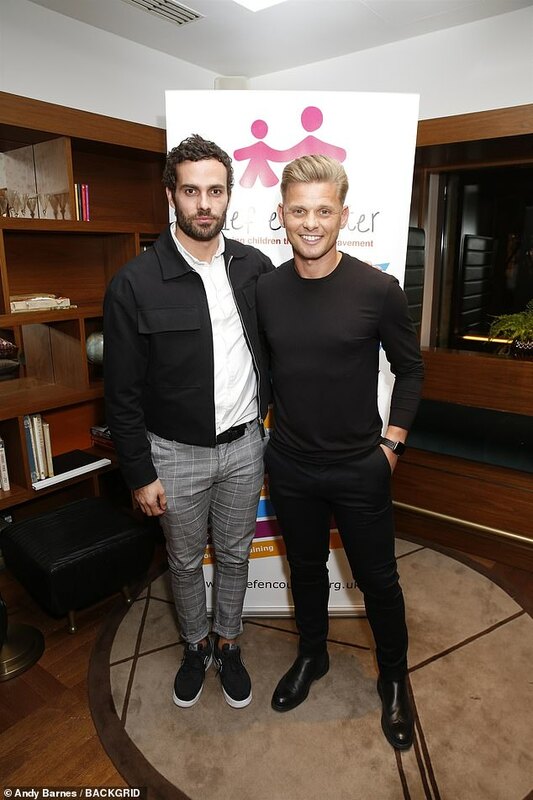 Jeff Brazier continued his mission to help others deal with bereavement as he hosted a Grief Encounter charity event at the Devonshire Club in London on Tuesday. The presenter, 39, drew on his experience of bringing up his two sons single-handedly following the tragic death of their mother, Jade Goody to raise awareness for dealing with losing a loved one. As it approaches a decade since Jade’s passing next month, Jeff continues to be a pillar of strength for his boys Bobby, 15, and Freddie, 14. 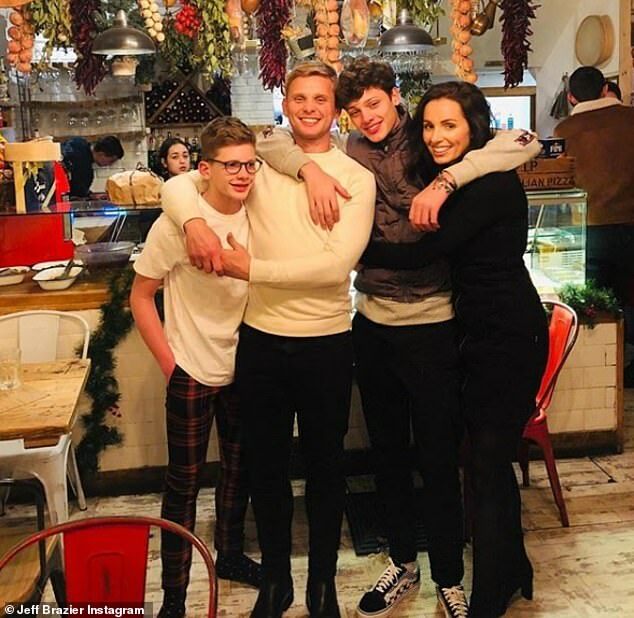 Jeff was joined by Made In Chelsea star James Dunmore, who shared his experience on losing both his sisters to cystic fibrosis. Taking to Instagram after the event, Jeff wrote: ‘We just spoke about grief tonight in front of a wonderfully engaged audience at the @devonshire_club. Id like to thank Grief Encounter for putting this on and alongside Nick Ed, Rosa Hoskins and James Dunmore for answering my questions with honesty and grace. Jeff has been vocal about his efforts in helping others with grief, even penning the book The Grief Survival Guide. Jade was diagnosed with cervical cancer in 2009 and told her disease was terminal while she was appearing on the Indian version of Big Brother. After her diagnosis, Jade’s cancer spread to her bowel, liver and groin and she underwent a lengthy procedure to remove a golfball-sized tumour. She died on Mother’s Day in March 2009. In the year of Jade’s very public battle with cancer, just as attendance at screenings began to decline, 0.4 million extra attendances occurred. Jade’s Legacy was a campaign set up to echo her call for more women to go for screening. Jeff and Jade met in late 2002 after she leaped to fame in Big Brother. After just three months of dating, they found out she was pregnant with Bobby. Both openly admitted the relationship had been volatile, and ended up splitting when Bobby was nine months old. It was shortly afterwards, they found out Jade was pregnant was Freddie. 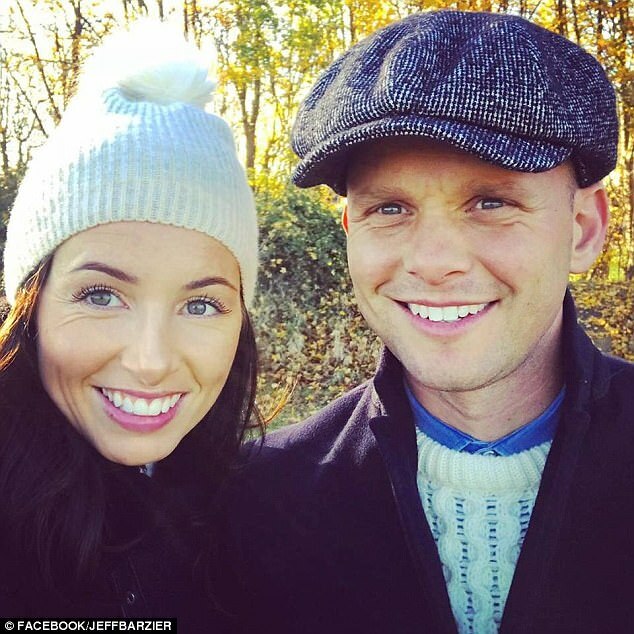 Jeff admitted they had a difficult relationship following Freddie’s birth as they shared custody of the boys and it only improved when she was diagnosed with cancer just six months before she died. He previously revealed it’s difficult not to feel regretful about his ex wife Jade death from cervical cancer, as it was avoidable. Speaking about life with his sons, Jeff explained on Loose Women: ‘As much as I try and be all and everything I can for them I can never replace mum. ‘It’s a sense of identity that they lose because you find out a lot about who you are in life through who your mum is and who your dad is. Jeff has kept his sons largely out of the public eyes since the death of their mother Jade. The presenter found love with Kate Dwyer and married her with his two sons acting as best men in Portugal last year.